The 33-year-old man has been arrested after the local police were tipped off, and searched his home and car. The extremely rare ancient krater was found in the man’s car, the press center of Bulgaria’s Ministry of Interior has announced. The ceramic vessel features a ritual scene from the Ancient Greek and Thracian mythology. “Over the centuries, the baked clay has been severely cracked, and a botched attempt at restoration [of the vessel] appears to have been made," archaeological consultants of the Bulgarian police are quoted as saying. Yet, they point out that regardless of its condition, the Ancient Thracian krater is still of great antiquary value. 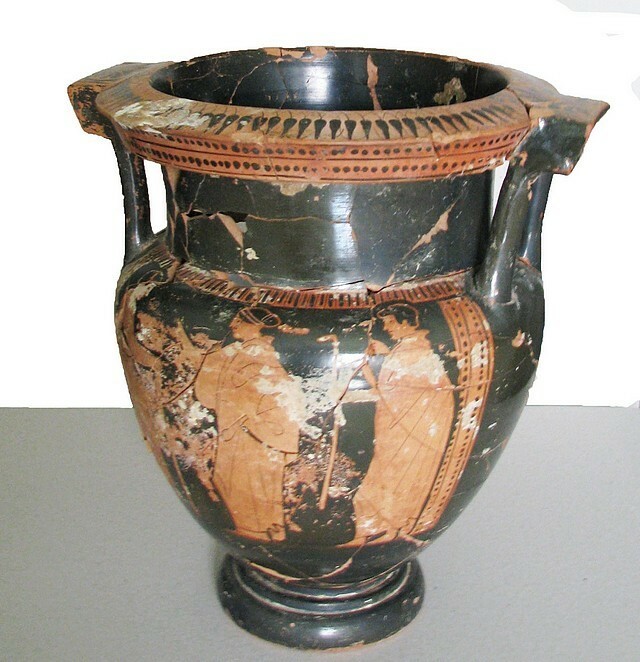 Ancient vessels of its kind are usually discovered in the burial mound tombs of Ancient Thracian aristocrats. Unfortunately, the Thracian tumuli (burial mounds) dotting Bulgaria’s landscape come very often under attack by ruthless treasure hunting looters. Later, upon more detailed inspection of the vessel, Bulgarian archaeologists have concluded that the krater was produced in Ancient Greece, and possibly in Athens itself, during the Age of Pericles, part of the Golden Age of Athens.